A city found in Indian River County, Florida, Sebastian has a population of about 23,300 residents. It's a part of a larger metro area with about 150,000 residents. The city is also found close to Vero Beach, which is a very popular spot for tourists. With visitors traveling through Sebastian and the regular population of the area, the roads can become rather congested. Each visitor brings a unique style of driving, along with unfamiliarity with the roads. Access to Sebastian is usually found through Interstate 95. The Florida portion of I-95 has been rated as the most deadly highway in the United States based on fatalities per mile. From 2004 to 2008, I-95 in Florida had 662 fatal accidents with a total of 765 fatalities. More than 189,000 vehicles travel on I-95 every single day. Sebastian is also served by US 1, which is another dangerous and busy road. Traffic accidents throughout the area are on the rise. Law enforcement has the job of enforcing the traffic laws in the area and if they didn't issue tickets, the accident stats would be far worse. Throughout 2015 in Indian River County, law enforcement issued nearly 12,000 traffic tickets to drivers. Nearly 8,000 of these tickets were for speeding, while another 759 were for careless driving. These are two of the leading causes of traffic accidents in Florida. Judges in the area only dismissed about 6% of the tickets issued. Chances of getting your ticket dismissed are very slim. Your license can be suspended in Florida if you get too many traffic tickets. Habitual offenders end up dealing with life without a license. If you get your license suspended and you get caught driving, you may face up to 90 days in jail and an additional $500 in fines. 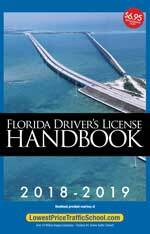 Every ticket issued in Florida puts points on your driver's license. Points range from 3 to 6 points with the worst offenses coming with a higher point value. For example, if you cause an accident when speeding, it will cost you 6 points and if you leave the scene of an accident, it's also worth 6 points. It doesn't take many tickets to end up with a suspension of your license. While traffic school won't get you out of the fine associated with your traffic ticket, it will help keep the points off your license. This means, you won't have to worry as much about a suspended license or your car insurance rates getting raised. 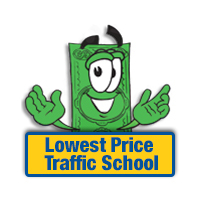 You will need to pay your ticket and enroll in the basic driver improvement course offered by traffic school online. Once you complete this course, you will get a certificate of completion and you will be able turn it into the clerk of the court. Then, you don't have to worry about any points on your license. This will help you save money from your insurance going up and it will also help you avoid stacking up points on your license. Using traffic school to avoid points in Florida requires that you haven't taken the course in the past 12 months or a total of 5 times in your lifetime. You can use the course for your first ticket and for any ticket after that, up to five, as long as they are at least 12 months apart. If you're not sure about eligibility, check with the clerk of the court. When you get a ticket in Sebastian, Florida, the Indian River County Clerk of the Court handles the payment and information about your ticket. This will be where you turn in your certificate of completion from traffic school, as well. Find out more information about the Indian River County Clerk of the Court on their website.